The Princess name has become synonymous with all the finest in luxury motor yacht design, high quality yacht manufacture and the very best in aftersales service and support for all Princess yacht owners. Regardless of size, every craft will exceed your expectations for a boat in her class. 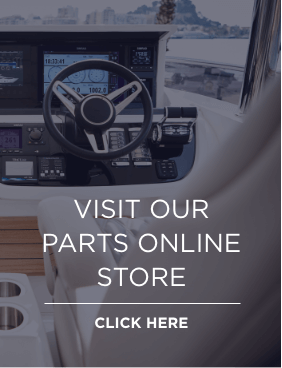 Tailored to meet your specific requirements and fitted with only the very best components, Princess yachts set the very highest standards in motor yacht luxury and performance. On the water, Princess yachts are instantly recognisable for their graceful lines and timeless, classic elegance that will never date. Clean uncluttered lines and a muscular deep-V hull give Princess yachts an undeniable presence which is instantly recognisable in yacht marinas around the world. When buying a luxury yacht you can have confidence in the brand and the team who will ensure that your needs and desires are not only met but exceeded. The Princess name and reputation means that you will not be disappointed. We offer the ultimate in incredibly luxurious, beautifully crafted yachts, superyachts and megayachts. With such a wide variety of luxury yachts for sale, at Princess Motor Yacht Sales we fully appreciate that while yacht purchase is a thrill, it’s also a big decision – something you want to get right first time. Here’s our common sense guide. We know the yacht world inside out, of course. It’s what we do. But at the same time we’re aware that very few of our clients have all that necessary technical knowledge at their fingertips to make an expensive, important decision that’s also properly informed. There’s a bewildering choice when considering new luxury yachts for sale, which is why we provide support throughout the decision making process. We’ll be with you all the way, from start to finish. We’ll give you the information you need to make a wise decision. We’ll explain the tech in language you’ll understand and because our enthusiasm for these remarkable vessels shines through, you’ll find the process a real pleasure. It’s good to know we never use hard sell tactics. In our experience there’s really no need – we treat you with the respect and consideration you deserve, giving you plenty of time and space to consider every new yacht buying option carefully, in exactly the right amount of depth and detail. Our yacht buying clients benefit from speaking to the knowledgeable professionals on our team, experts who are delighted to spend as much time as you like answering questions, providing support and guidance and ensuring the luxury motor yacht model you choose is exactly what you want and need: the optimum size, speed, layout, interior, engine, you name it. The idea is to tick all your boxes so you’re perfectly, completely happy. If you’d like to find out the details about new luxury Princess yachts, please contact us. We’ll be pleased to discuss your dreams and provide the information you need. Our sales teams are on hand to answer all of your questions so don’t hesitate to give us a call, drop us an email or fill in one of our online enquiry forms for a fast, friendly response. We can provide top class specialist yacht finance via our partner, the respected French financier CGI Finance. Together we’ve negotiated some exceptional yacht finance deals for private individuals and professionals, a choice of advantageous fixed and floating rate marine mortgages plus flexible loans available on new boats. If you’d like to explore the potential, we’ll be more than happy to discuss your specific financial requirements so please contact us.